Mention home security, and we likely think of elaborate locks, alarm systems, and monitoring devices – possibly even trained guard dogs. These are all valid forms of providing home securing and protecting the occupants of a residence – giving them peace of mind. However, as much as these are forms of providing home security, there is a different aspect of home security that we should consider and include in our aging in place designs. 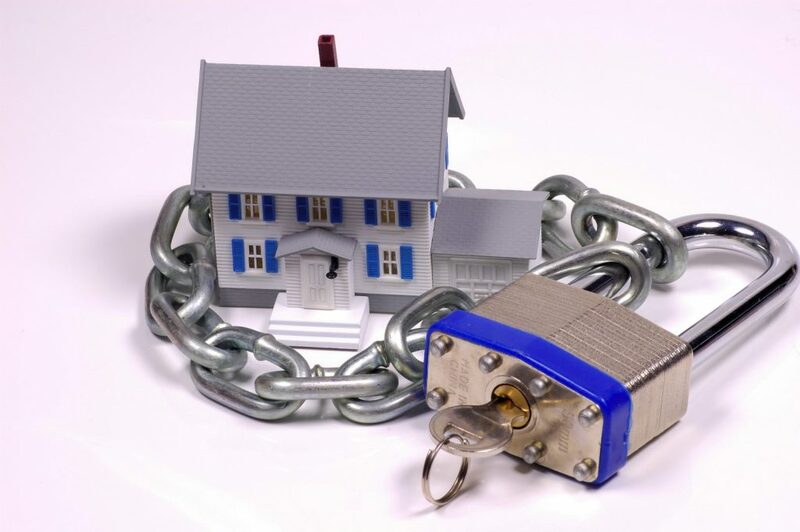 Safety in the home is tantamount to security. When people feel safe in their homes, they feel secure. They feel unthreatened. People have every right to feel and be secure in their homes – especially from break-ins, home invasions, and possible damage to their property or being threatened themselves. Without diminishing the importance of people needing to feel secure in their homes in the traditional sense – especially as they are getting older and many of them are living alone – let’s look at how the safety aspect coincides with the feeling of security in a home. Here we are talking about people feeling within their home – essentially the safe as being secure – and doing positive treatments to help ensure that safety and therefore their security in their homes. Homes by their very nature can be problematic to navigate well when we are unaccustomed to them. The longer someone lives in that home, the easier it is for them to find their way and to know what potential obstacles might be along their way. Our role as aging in place specialists is twofold -(1) to help them identify and eliminate barriers and issues themselves that are affecting their personal safety in their home and (2) to evaluate what is going on in the home and make recommendations on what is required to make that home safer. Of course, then we would want to go ahead and make the improvements necessary to make that a safer home. These safety issues are at the heart of feeling secure in their living space. While someone can have an elaborate alarm system and a series of window and door locks as well as a monitoring service, if they don’t feel safe from falls, cuts, or burns in their own home, they really aren’t secure. People need to experience the security that comes from blocking people from the outside from entering their home uninvited and from knowing that their floor space and living environment affords them good personal safety. When people risk electric shock because of a defective appliance, a frayed cord, or an overloaded circuit, they really aren’t secure in their space. The same holds true if the wiring is older and does not have the capacity for modern appliances and devices or isn’t protected with ground fault circuit interrupters in wet areas such as the kitchen, bathrooms, laundry areas, and outside near exterior building faucets. The bathroom is one of the hardest areas in the home in which to feel secure. People are susceptible to slipping on wet surfaces, and if they do, they risk falling onto or against a very hard immovable object such as the toilet, sink, tub, or floor. It’s hard to feel secure in a home knowing that a space that is used several times a day, and often when we are sleepy or not fully dressed, can be so dangerous to us. There are ways to make it safer, and that’s where we can have an impact. By evaluating the various bathroom spaces in a home – for those that have multiple bathroom facilities – we can determine how to make floors less slippery, how additional and brighter lighting will eliminate shadows or glare and illuminate the space (and objects in that space) better, how problematic tubs that are to step over entering or exiting can be modified or removed and replaced with curbless showers, and one or more grab bars can be installed to help people remain upright. The bathroom isn’t the only place in the home where people can feel insecure, but it is probably the central example. Kitchens and other rooms – especially those that are activity centers – can present issues as well. In the kitchen, standing on a stool, small ladder, or a chair (non-recommended but done all the time anyway) can lead to an over-reaching injury or falling. Touching hot objects as they are on the stove, coming out of the oven, or resting on the cooktop or counter after cooking can produce burns, Ingesting hot foods or liquids can be uncomfortable. Dropping heavy objects (pots, glassware, or canned goods) on our feet, slipping on a wet floor, or getting cut with a knife or other sharp edge (even a broken piece of glass) can produce injuries also. In short, it’s not just the exterior security that we need to be concerned about with our clients. It’s what happens on the inside of their home also. Total security is peace of mind against all foreseeable risks. To achieve that, we have to assist people is identifying and eliminating those trouble areas.